If you love running, then you could understandably fear one day setting out on your usual running path only to feel your knees aching. However, contrary to popular belief, getting into the habit of running does not significantly risk you picking up knee pain in later life. The myth has been debunked by a study cited by Shape and revealing that older people who ran in their youth were not likelier to develop knee pain than people who had never been runners. 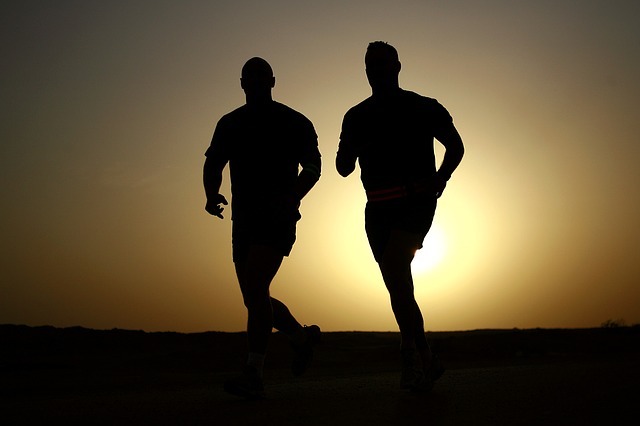 In fact, knee pain was lowest in people who had run the most miles during their life. Nonetheless, you should resist delaying with suitable knee preservation efforts if you want to prevent pain. Ian Sherman, head coach at Sharman Ultra Endurance Coaching, cautions: “running is still a repetitive motion, so many injuries stem from muscle imbalances that add up over time”. 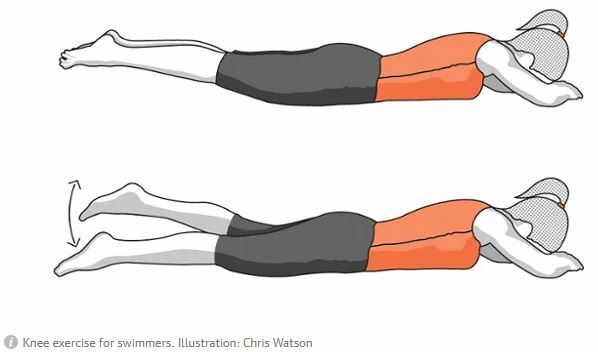 For exercising the glutes, you can try a motion that is akin to swimming but doesn’t have to take place in water. 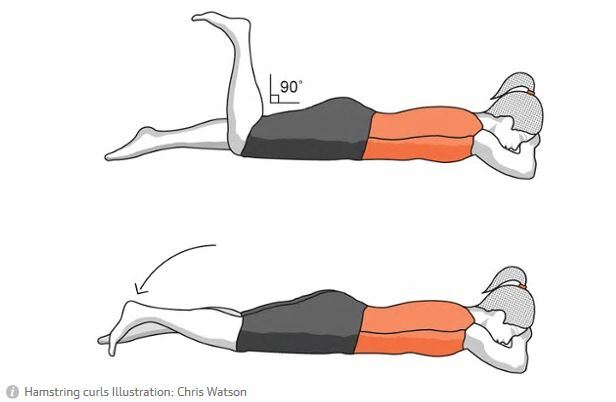 To try this exercise, you can start by lying on your front and bending your elbows to leave your chin within touching distance of your fingers. You can then target your core by having your toes pointed behind you and, as far as possible, raising both legs. Then, pulse these legs in alternate up-and-down motions, starting your kick at the hip like you are making a front-crawl kick. Continue doing this for a minute or, if possible, longer. Fortunately, there’s a straightforward but effective method of working those calves to strengthen them. 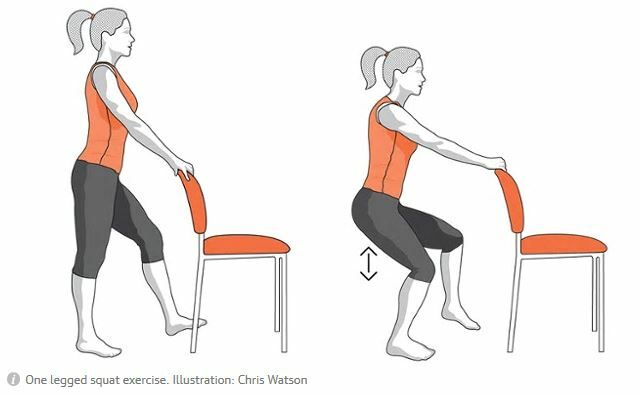 Starting stood with your feet apart at hip width, you should raise the back of your feet, while keeping hold of a table or chair if this is necessary for your balance, before lowering back to the floor. This movement should be repeated fairly rapidly for a minute or however long is possible. You can strengthen your hamstrings with the following exercise. Lie on your front with bent elbows and hands flat on the floor, making your chin possible to rest on your fingers. Then, bend the right knee to a maximum angle of 90 degrees, leaving your foot’s sole facing the ceiling. You have only formed your starting position here; you should proceed to bend the knee and tap the toe on the floor. Next, bend your knee and use your heel to tap your bottom – or as near to that as you can. Spend a minute continuing with this movement before swapping legs. This exercise will put your entire bodyweight on a single leg and so suitably exercise the quads – as, with running, there is never more than one leg making contact with the ground at any moment. 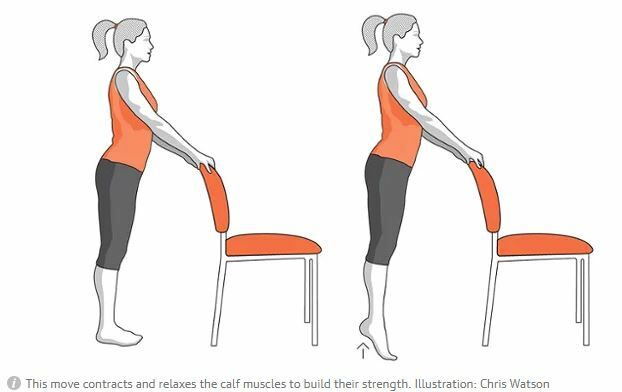 Have your feet hip-width apart as you balance yourself with a hand rested on a chair or table. Lift that right leg before bending, at the knee, the standing leg to form a squat. Prevent your knee extending past your toes and don’t bend at your waist. Get as far to a deep squat as is comfortable. On each leg, repeat this procedure 8-12 times. Running itself – yes, really! This can, indeed, help strengthen the knees for further running – though exactly how you run can be a factor. Running up hills can make leg and joint strength more even, while you should be careful not to rush your training, as your tendons and ligaments can take longer than the muscles to adapt to it. With knee surgery, we can rectify a problem knee – but prevention is better than cure!